Today is the big day. Well, not for me. For me, it’s just another gorgeous morning in South Africa. 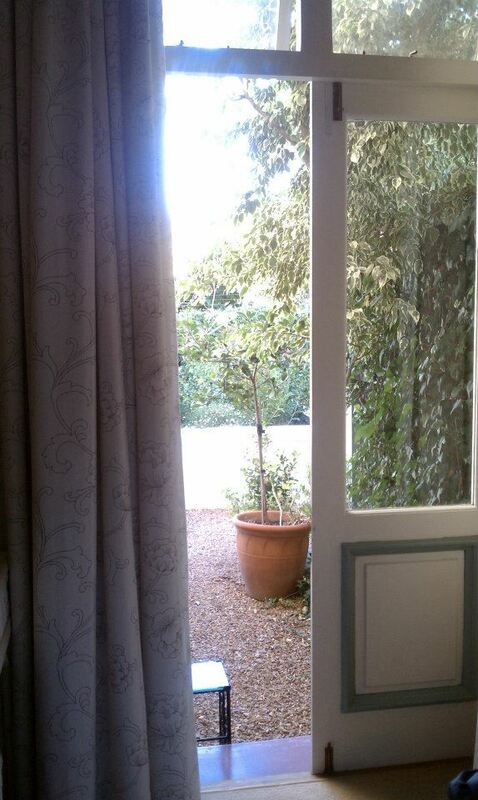 I woke up thinking about the full breakfast buffet waiting for me in the lobby of our hotel, Bonne Esperance. I wasn’t thinking about the 27 kilometers of racing out of a true starting gate that ends on a mountain top. I wasn’t thinking about the heat of the sun or the 900 meters of climbing. I was thinking about eggs. Sausage. Fruit. Coffee. Josh was up and already in the shower. Ugh. Reality is setting in. 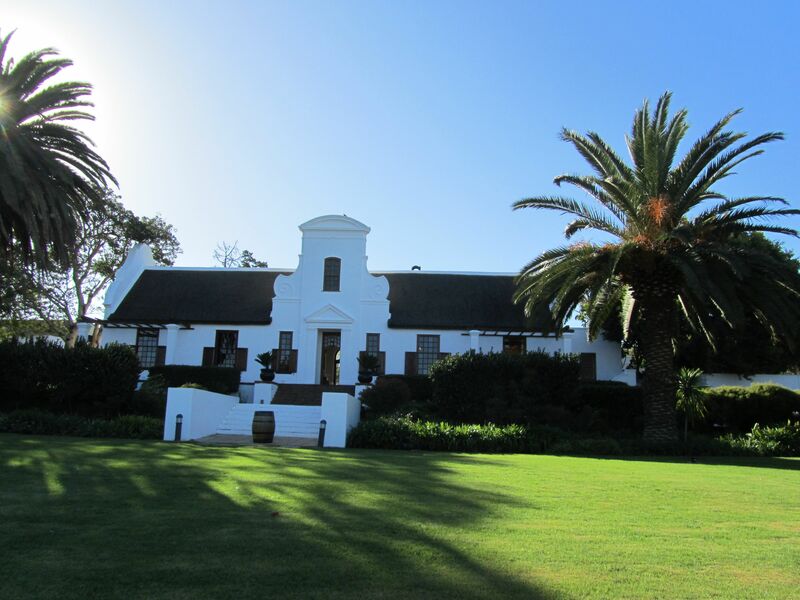 It’s time to start packing to head to Meerendel Wine Estate. We opted for an economy rental. Which left little space for little me in the backseat of the car. My view from the backseat. 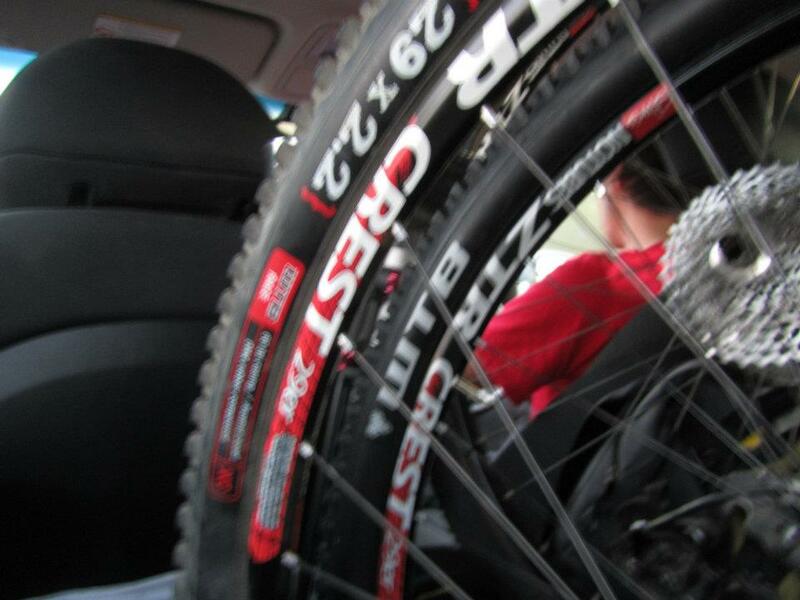 Today is the Prologue of the Absa Cape Epic and Josh woke up very quiet this morning. We have spent eight months, countless hours, and a lot of energy for Josh and Jackie to be here today. So have a lot of other people. Sponsors, friends, and family have all been supporting Josh and Jackie through the entire process. The excitement has now reached a whole new (epic) level. Josh grabs his race numbers for his bike. 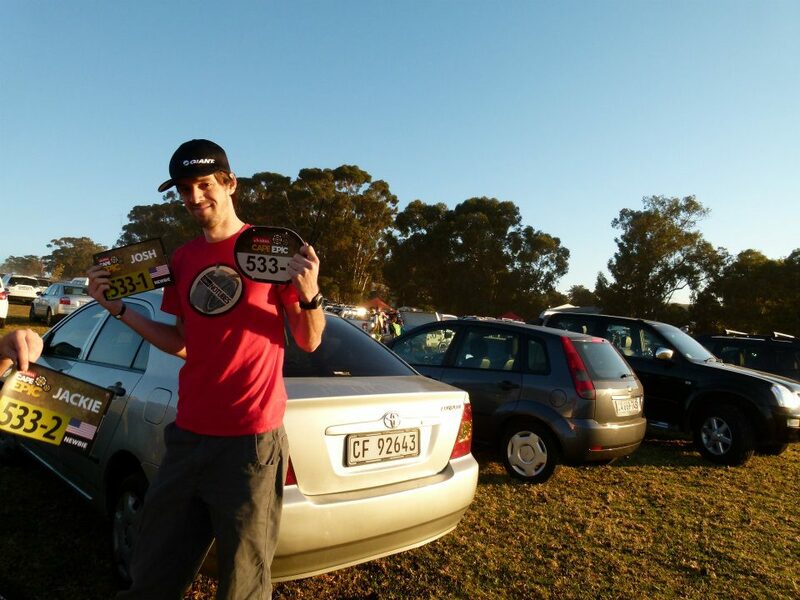 It doesn’t strike home at first just how big the Cape Epic is. 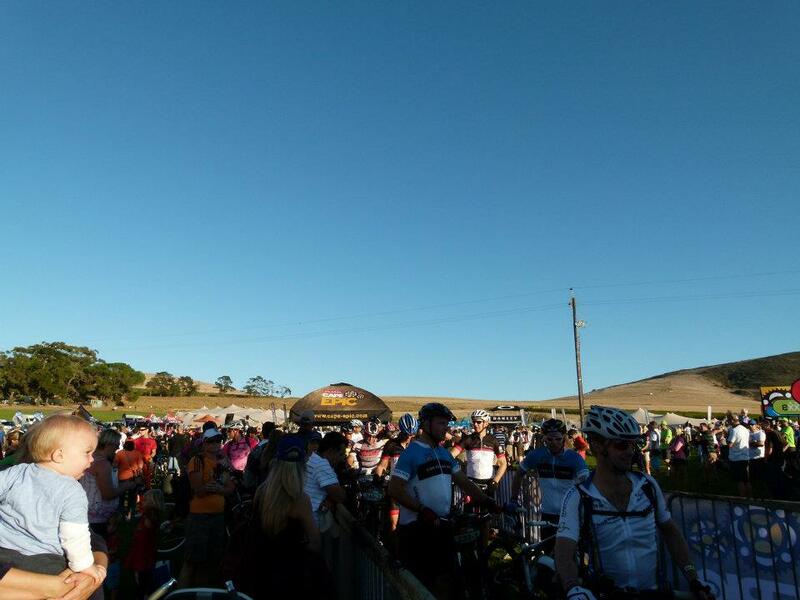 There are 1,200 riders from all over the world plus crew, supporters, medics, and organizers converging in the main camp area of Meerendel. The announcer keeps all informed over the speakers as a local marching band parades up and down the starting chute. The energy is palpable. I can’t wait for the start. Click on the picture for a short video! 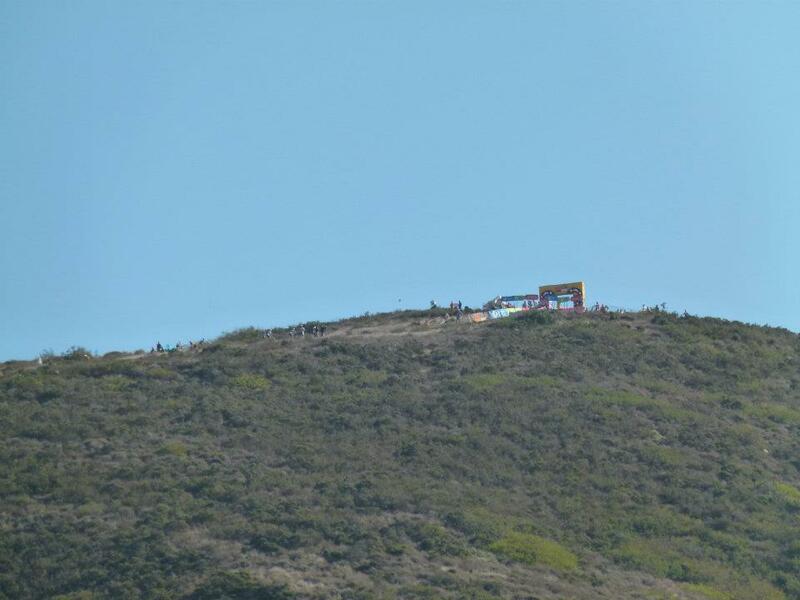 The ant hill climb to the top was pretty impressive to watch as the riders zig zagged their way up single track switchbacks to get to the mountain top finish. 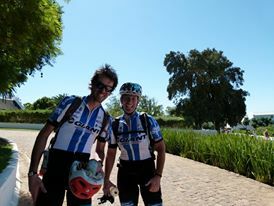 After exploring the wine estate, having a glass of wine, and sitting on the dirt road waiting for our riders to come through, I felt tired! I was able to get some video of the two on the dirt road but after climbing up the “ant hill” for an hour…I somehow had just missed them. I scurried back down to the bottom of the mountain just in time to snap this picture of the two after the race. Josh and Jackie all smiles – Prologue completed!